The relationship between human and technology are undoubtedly sustainable. Technology becomes something that we rely on in almost every aspects such as educational, business, and even household. Just look outside, how many people out there grabbing their gadgets than they who don’t? Smartphones, tablets, laptop, becomes primary in human’s life, especially for the youth generation. Teenagers to young adults most likely live half of their life on their gadgets. It is an easiest way to connect with the world, their friends, their community, and do their work. Youth takes place on the world’s change. The youth inspires people to do more. What will happen when youth communities meets technology and share ideas to create a breakthrough in business? Maybe you can see it all in Start Surabaya Technopreneur Event. As one of the biggest, rapid growing city in Indonesia, Surabaya is making the first youth movement that collaborates technology and entrepreneurship which supported by the government, to become an identity with a global quality of Surabaya. This event called Start Surabaya. Why choose youngsters for this event? The youth generation as an agent of change, that is more broad minded to the latest technology, is aimed by the city government of Surabaya to bring improvement for advanced local society. We hope that this event will inspires other city to do the same so we can achieve improvement evenly all over Indonesia, and globally as well. Enrollment opened on 9th November 2014 and closed by the end of month. There are a lot of Surabaya youth citizen starting on age 18 to 25 participating in this event. Mostly are coming from Information and Technology background such as ITS Surabaya. Surprisingly, there are almost 600 people registered. But not all are going to the next phase, only those who are qualified and have unique ideas will pass. 587 participants screened into only 45 people selected and divided into 15 groups. Each group with 3 members as a leader, marketer, and producer are going to the incubation period for three months. They will be given some knowledge and material about how to set up a real business based on their ideas. The government of Surabaya provides working space for them to gather, learn, meets each other and help each other groups. There are also mentors that guide them doing their workshop by talk show and seminar. On 6th January 2015 as the grand opening of Start Surabaya event begin, the 15 groups participants are going to the incubation period for three months, to make their ideas comes true. 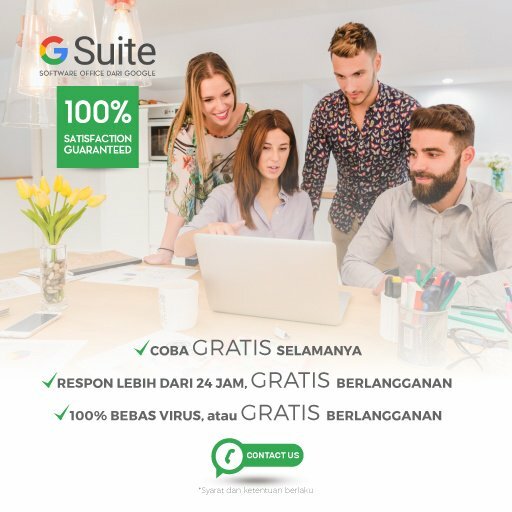 This innovative event is supported by many big company such as Google Indonesia, Suara Surabaya Radio, Kibar, Layaria and the most important is support by the city government. This event is also supported by creative talents to spark collaborations through network of mentors with experiences, ideas, and knowledge from which participants can learn from. Eikon Technology as one of the mentors, not only running cloud solutions company but also as an IT and application developer to Ecommerce solutions. As a cloud solutions company, Eikon become Google Enterprise Partner which brings the best of Google Application to organizations. As a contribution on this event, Eikon Technology is giving some insights for the participants about how Google Apps enhance our work to get stuff done in a simple way, effectively. Even more about how to use the most of Google Apps to their organization so they can be more productive with its benefits. By using Google Apps for Education, they can work anywhere, from any devices to keep in touch with their groups, discussing about the progress of their ideas. Share files is now more simple and efficient using Google docs online, where they can work together collaboratively. Also, all files are accessible from any devices for you and or people you shared using Google Drive. These apps will really help the community for being productive, it’s well-suited with the spirit of active young generation which brought by Start Surabaya event.